Spending The Day In South Orange, N.J. If you are looking for a great way to spend the day, the charming and hip community of South Orange, N.J. has so much to offer. This welcoming town has a population of approximately 17,000 residents and is located less than 20 miles from New York City. With Midtown Direct Train service to Manhattan as well as direct train service to Hoboken, South Orange is home to many former New Yorkers looking for more space and easy access to NYC. This village offers 62 acres of parkland, 5 baseball diamonds, 15 lighted tennis courts, a duck pond, soccer fields, 8 parks and playgrounds and a large community pool at Cameron Field. It is one of only four villages in New Jersey and one of only a few communities in the United States to still use gas light illumination as streetlights. South Orange Avenue is a bustling street lined with many restaurants, pubs, retail outlets and services. Whether you are looking for an exceptional yoga class, cardio class, or a great cup of coffee, it can be found right in town. SOPAC (South Orange Performing Arts Center) offers a wonderful opportunity for great live entertainment from concerts and dance ensembles to comedy and much more. In addition, there is a multi-screen cinema as part of SOPAC. You can start day with a meal in one of the local restaurants. Jackie and Son for great atmosphere and Middle Eastern flavors both sweet and savory. Walia for delicious Ethiopian Food. We especially love their vegetarian offerings, even though we are not vegetarians. Miti Miti for Latin Street Food. Empanadas and tacos are just some of the fun and tasty things you will find on the menu here. Next, if the weather is nice, try a walk in the reservation. 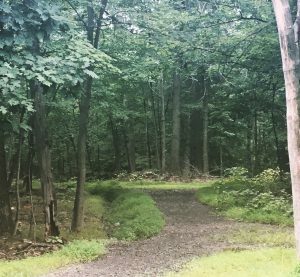 South Mountain Reservation is a nature reserve with over 2,000 acres. It’s part of the Essex County Park system and can be entered off South Orange Avenue. Take in a movie or a show at SOPAC. With multiple theaters there will be plenty from which to choose or check at the schedule at the Performing Arts Center. End the Day with a meal. For carefully prepared Italian food we highly recommend Baccone South. This place is BYOB so bring your favorite bottle and enjoy their hospitality. Looking for a place with a bar? Try Fox and Falcon, they have not one but three great looking bars with three very different vibes all offering the same menu.